Are there Better Alternatives to Seclusion and Restraint? 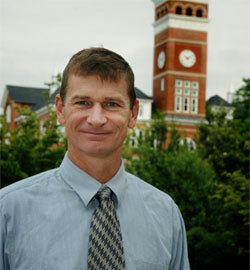 by Joseph B. Ryan, Ph.D., Clemson University for Act to Keep All Students Safe. Over the last several decades schools have become increasingly reliant upon the use of seclusion and restraint to help manage students who display challenging behaviors. For example, the Government Accountability Office (GAO) recently reported that two states alone (Texas and California) reported using seclusion, restraint or other crisis interventions over 33,000 times during one academic school year. Historically, schools have used seclusion and restraint in response to a broad assortment of maladaptive behaviors ranging from noncompliance to physical aggression. This is perplexing, given the scarcity of research demonstrating any therapeutic value for these procedures in reducing maladaptive behaviors. In contrast, there have been an increasing number of cases documenting the misuse and abuse of seclusion and restraint within schools nationwide. Reports from the media, researchers, advocacy groups, and federal agencies have brought to light many of the most egregious cases in which students have been abused, injured or died while being placed in seclusion or restraint. Today, educational researchers posit the increased use of seclusion and restraint may be in part due to the inability of many teachers to remain composed when dealing with challenging behaviors displayed by aggressive students. This is not surprising given research has shown teachers often lack knowledge and confidence in the area of classroom management. Research has also shown that teachers who experience high levels of stress experience difficulties with effectively managing student misbehavior. While the use of seclusion or restraint may provide teachers with a brief respite, these interventions have little support in positively shaping a student’s maladaptive behaviors. Hence, it is critical that teachers become familiar with evidence based alternatives that can help reduce and hopefully eliminate the use of seclusion and restraint in public school settings. Fortunately, there are a number of practical alternatives to seclusion and restraint that teachers can be easily incorporate into the classroom, including: (a) developing a hierarchical behavior management plan, (b) developing and enforcing policies or guidelines, (c) providing training in crisis de-escalation strategies, (c) implementing evidence based academic and behavioral instructional strategies. Simple intervention techniques. When a staff member notices inappropriate behavior the first step would be to use simple non-intrusive interventions such as proximity control, talking to the student, or redirection. Problem solving strategies. If simple intervention techniques prove ineffective, the next step entails problem solving in which both the staff and student discuss the behavior, the consequence(s), then evaluate the situation and develop an intervention plan as well as a follow up steps. This step focuses on teaching students coping skills and socially appropriate replacement behaviors. Reinforcement based strategies and extinction of inappropriate behavior. Early level behavioral strategies should focus on reinforcing appropriate behavior while working strategically toward extinguishing inappropriate behaviors. Rather than concentrating on a student’s undesirable behavior, the teacher should look for a positive alternative that will result in reinforcement for the student. This involves determining what behavior the student needs to do that s/he is not presently doing, then teaching the socially appropriate replacement behavior and reinforcing it. Inclusion timeout (3 minutes). Inclusion timeout is the least restrictive timeout procedure. The student can sit and watch without being involved in the classroom activities. In an inclusion timeout the student remains in the classroom environment, but is no longer being reinforced from the teacher or peers. There are a number of variations of inclusion timeout that are reviewed in the article Using Timeout Effectively. It is recommended that the duration of a timeout in minutes last no longer than the age of a student. For example, a 10 year old student should spend no longer than 10 minutes in timeout. Exclusion timeout (5 minutes). If a student continues to display inappropriate behaviors, the staff can then implement a more restrictive form of timeout called exclusion, in which the student is typically removed from the classroom. Again, there are a variety of types of exclusion timeouts reviewed in Using Timeout Effectively, but I recommend using the interclass timeout in which the student is placed in another teacher’s classroom. Typically, a misbehaving student is experiencing difficulties with a specific teacher, so placement in another classroom for timeout provides both the student and teacher an opportunity to calm down. This is preferable to many of the most common alternative types of exclusion such as placing the student in the hallway, given they remain in an educational setting and are properly monitored by school staff. In most professional fields (e.g., medical, psychiatric, law enforcement) that use seclusion or restraint, there are strict standards that govern the use of these procedures. Unfortunately, there has been no such accreditation for the use of these procedures in public schools. Over the last several years my colleagues and I have conducted extensive research studies investigating state policies and guidelines on the use of seclusion and restraint in schools. We found that many states either do not have policies, while some others are not providing comprehensive policies or oversight on the use of these procedures. Several merely state the local education agency needed to develop guidelines with no further clarification. In addition, we found that many state policies were difficult to locate, which suggests that they may not be readily available to educators, or that the state does not place a high priority on these policies. Given the lack of quality guidelines currently available, the links below provide suggested guidelines and links to several exemplar policies. Research has also indicated that preventive strategies can be an effective means for reducing challenging behaviors, which in turn helps eliminate the need for seclusion to manage disruptive or dangerous behaviors. An increasingly popular preventative approach for dealing with verbally and physically aggressive students is crisis de-escalation training. All school personnel who work with aggressive students should be highly trained in the use of these de-escalation techniques. Unfortunately, when staff are not properly trained in effective crisis intervention techniques, and don’t know how to properly respond to students as they progress through the various stages of the cycle of aggression (e.g., agitation, acceleration, peak, de-escalation) their actions, both verbal and physical, may inadvertently exacerbate a situation rather than pacifying it. The articles below highlight effective components of crisis intervention training programs. Students with emotional and behavioral disorders (E/BD) struggle in school perhaps more so than any other group of students. On average, these students perform anywhere from 1.2 to 2 grade levels behind their peers in elementary school, and 3.5 grade levels behind by the time they reach high school. In addition, they have some of the worst post school outcomes of any children with disabilities, consistently demonstrating the highest dropout and incarceration rates. Researchers have long argued that implementing evidence based teaching and behavioral interventions can effectively reduce maladaptive behaviors while increasing their academic performance. One example of an extremely effective behavioral intervention is the Functional Behavioral Assessment or what is commonly referred to as an FBA. While FBAs have been common practice within the field of applied behavior analysis for several decades, it has only more recently gained prominence within special education since the passage of IDEA 1997 which mandates their use in certain circumstances. The FBA helps teachers identify the function or purpose of a student’s maladaptive behavior by identifying the antecedents (what occurs prior to the behavior), consequences (what follows the behavior), as well as any contextual or environmental variables associated with the specific behavior. Understanding the antecedents of a challenging behavior allows educators to develop effective interventions that can help prevent the problem behavior from occurring. In contrast, focusing on the consequences enables staff to eliminate problem behaviors by reinforcing an appropriate replacement behavior. The articles below review evidence based practices for children with emotional and behavioral disorders (E/BD) and Autism Spectrum Disorder (ASD), two populations that are disproportionately subjected to seclusion and restraint procedures. Given the lack of research on the efficacy of seclusion and restraint, combined with the potential safety concerns regarding their use, it would be prudent for schools to identify effective alternatives for managing challenging student behaviors. Fortunately, there are a number of safe evidence based alternatives that teachers can use to reduce and perhaps eliminate the use of these procedures altogether. However, it is ultimately up to teachers, parents and administrators to ensure schools use safer evidence based procedures to effectively manage challenging behaviors. I have reviewed effective alternatives and links that provide information on how to (a) develop a hierarchical behavior management plan, (b) develop and enforce policies/guidelines, (c) provide staff training on crisis de-escalation strategies, and (d) implement evidence based academic and behavioral interventions. While implementing these strategies will not eliminate challenging behaviors, research has shown they can effectively reduce the levels of maladaptive behaviors, and provide a much safer alternative to either seclusion or restraint. If you have any questions, please feel free to contact Joe Ryan through Act to Keep All Students Safe. "How Safe Is The Schoolhouse?" A State-by-State Analysis of Seclusion and Restraint Laws and Policies" by Jessica Butler, published by Autism National Congress. Best available overview of state-by-state use and laws prohibiting physical restraint and seclusion rooms in schools across the country. Compiled by Jessica Butler. Updated May 2, 2013. Click here for report.